The application launch in order registering in the list of OrderOfLaunch. 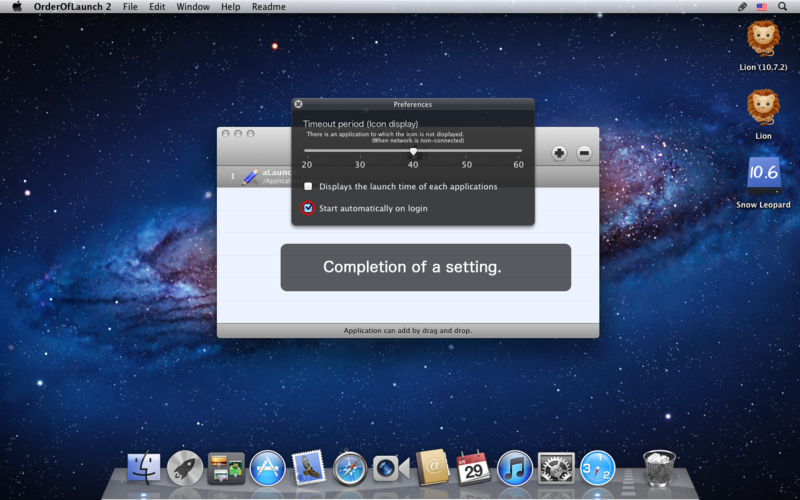 The following application launch after waiting for the icon to be displayed when it takes time to the display of the icon after the application is launched. You can always use the menubar application in same order of the row. ★ Version 2 finishes launching fast and accurately. 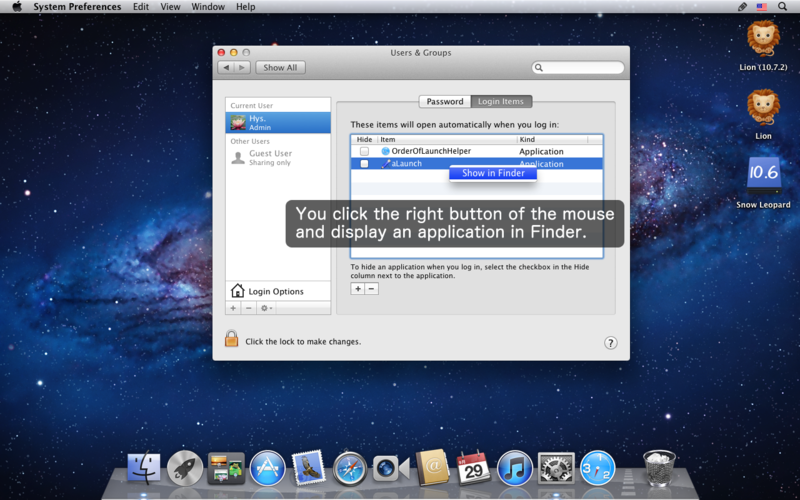 ※ There is an application that the icon is not displayed in the menubar when doesn't connect it with the network. ※ When application is having the display position of an icon specified, it becomes a form according to the application. 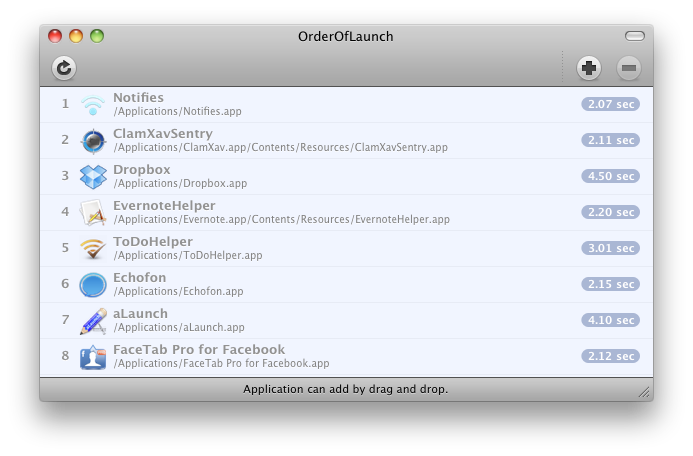 The Login items of the System Preferences, if you have items that registered with OrderOfLaunch.app, please delete it. 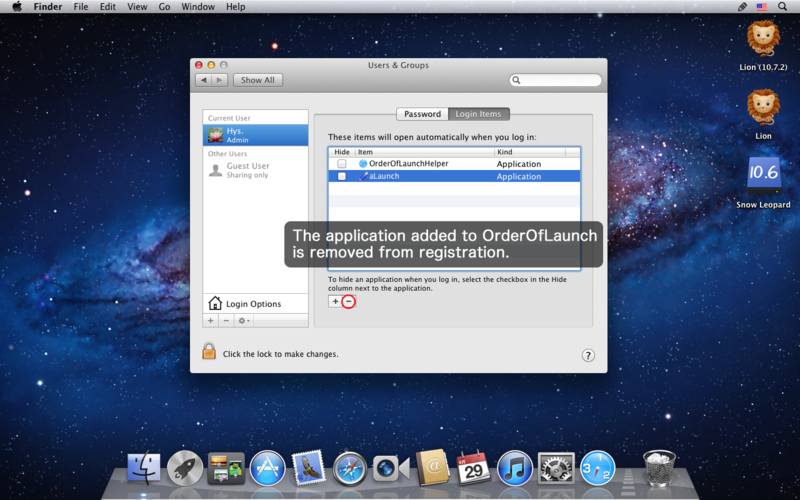 After reboot or re-login, the OrderOfLaunch begins launch in the order that registered. please rename "net.mactips-lib.OrderOfLaunch.plist" in "net.mactips-lib.OrderOfLaunch-MacAppStore.plist"
The function which adds a separator and can be added between the application icons of a menu bar was added. A display/undisplayed one of a picture, an interval, and the alignment method can be chosen. 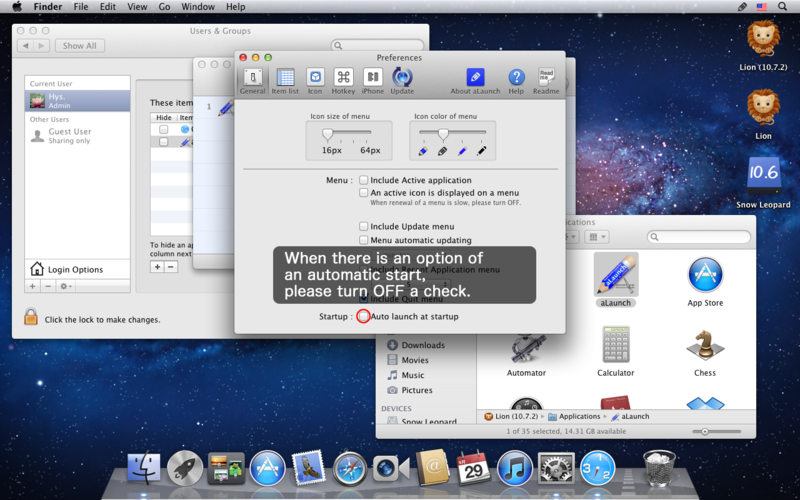 ※ It can add, if it is made ON which "validates a separator menu" in Preferences. 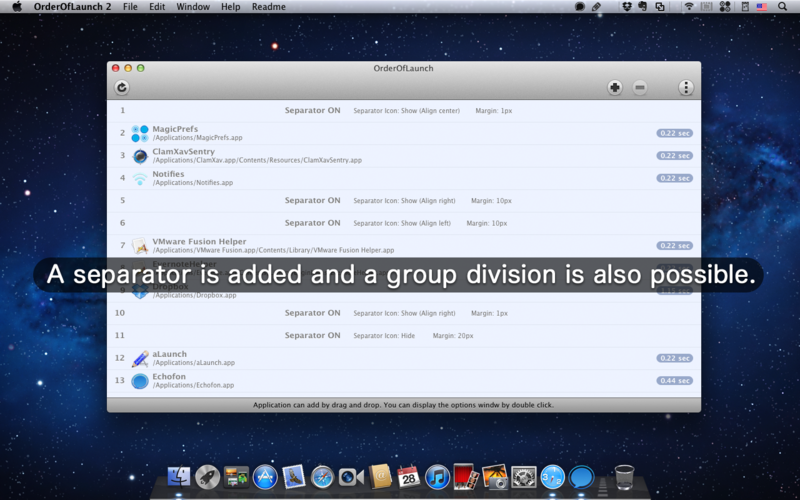 ※ The helper application for separators can be ended by "Quit Helper Application (Separator)" of a main menu. ※ When you update application, it is "Quit Helper Application (Separator)" menu and please end a helper application. It came to be able to perform deletion of the line by the delete key. 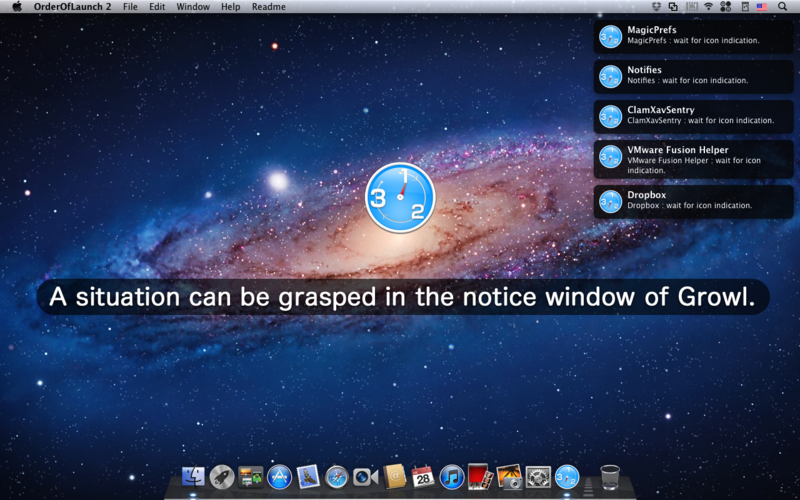 The problem on which the option screen was hard to disappear is corrected. In addition, fine change and fixes. Updated a helper application. Please enroll in a login items again. Speedup of the icon indication judgment. Speedup relaunch from "Relaunch registration applications menu"
Added the sentence of the notice to Growl newly. Timeout period option, added 10 seconds. Bug fix at the time of launching except Japanese. 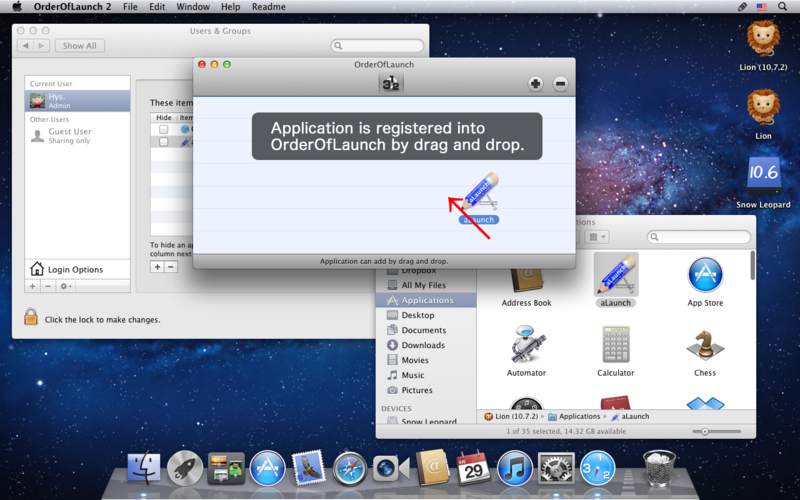 Addition : You can use relaunch of registered application from tool bar button. 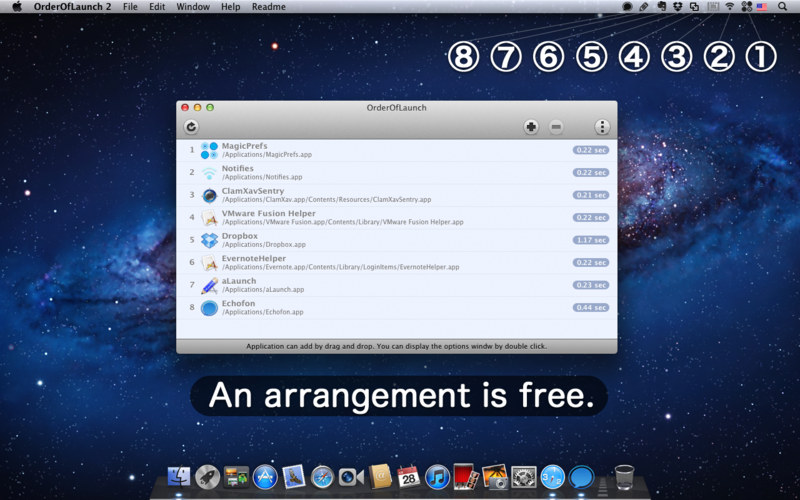 Addition : Even other than an application folder, You can use OrderOfLaunch. Change : Updated Growl SDK. Fixes : Some other corrections. Support a menubar icon of the VMware Fusion 4. A change of the graphical user interface. It registers to Mac App Store. Web page and Feedback menu has been added to Help menu. The kind of the notification to Growl is added. Copyright 2006-2015 macTips All Rights Reserved.